Erich Fromm was a German social psychologist and psychoanalyst, who was associated with the Frankfurt School of critical theory. He was known for developing the concept that freedom was a fundamental part of human nature, and for challenging the theories of Sigmund Freud. Fromm was an only child born to Orthodox Jewish parents in Frankfurt on March 23, 1900. He would later describe his childhood as "highly neurotic." At the age of 14, Fromm was heavily influenced by the start of World War I and developed a strong interest in the behavior of groups. He began looking for answers to his questions in the writings of thinkers including Sigmund Freud and Karl Marx. He went on to study sociology at the University of Heidelberg, earning his doctorate in 1922 under the supervision of Alfred Weber. In 1924, he began studying psychoanalysis at the University of Frankfurt before moving to the Berlin Institute of Psychoanalysis. In 1926, he married Freida Reichmann, a woman ten years his senior who had once been Fromm's own psychoanalyst. The marriage dissolved after four years. Throughout his life, Fromm maintained a busy career that included numerous teaching positions in addition to publishing a number of books and running his own clinical practice. Fromm helped found the Frankfurt Psychoanalytic Institute, where he lectured from 1929 to 1932. After the Nazis rose to power, the Institute was moved to Geneva, Switzerland and later to Columbia University in New York. After moving to the United States, Fromm taught at a number of schools including the New School for Social Research, Columbia, and Yale. His criticisms of Sigmund Freud's theories began to put him at odds with other psychoanalysts, and in 1944 the New York Psychoanalytic Institute suspended him from supervising students. Fromm remarried in 1944, became a U.S. citizen and moved to Mexico in hopes of alleviating his second wife's illness. He began teaching at the National Autonomous University of Mexico in 1949 and continued to work there until he retired in 1965. After his wife's death in 1952, Fromm founded the Mexican Institute of Psychoanalysis and continued to serve as its director until 1976. He remarried again in 1953 and continued to teach in Mexico. He also taught at other schools including Michigan State University and New York University. Fromm moved from Mexico City to Muralto, Switzerland in 1974, where he lived until his death in 1980. 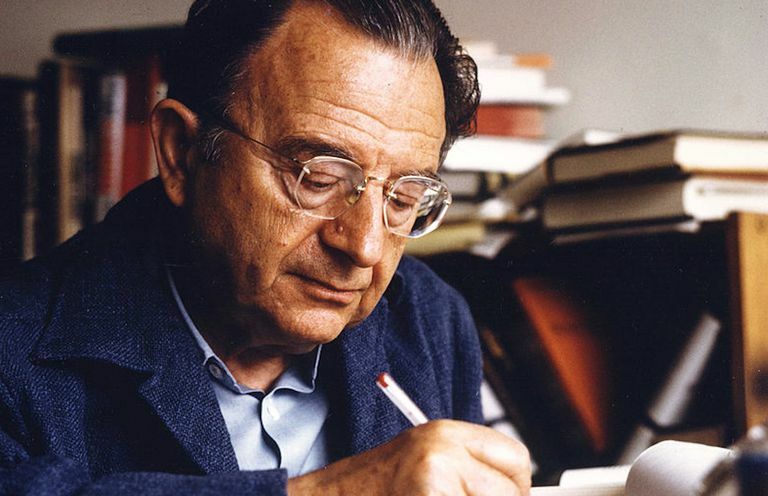 Today, Erich Fromm is widely regarded as one of the most important psychoanalysts of the 20th century. While Freud had an early influence on him, Fromm later became part of a group known as the neo-Freudians which included Karen Horney and Carl Jung. Fromm was critical of many of Freud's ideas including the Oedipus complex, the life and death instincts and the libido theory. Fromm believed that society and culture also played a significant role in individual human development. "Man’s main task in life is to give birth to himself, to become what he potentially is. The most important product of his effort is his own personality." — Man for Himself, 1947. Fromm also had a major influence on humanistic psychology. He believed life was a contradiction since humans are both part of nature and separate from it. From this conflict arises basic existential needs including relatedness, creativity, rootedness, identity and a frame of orientation, according to Fromm. Of his own work, Fromm would later explain, "I wanted to understand the laws that govern the life of the individual man, and the laws of society — that is, of men in their social existence. I tried to see the lasting truth in Freud's concepts as against those assumptions which were in need of revision. I tried to do the same with Marx's theory, and finally, I tried to arrive at a synthesis which followed from the understanding and the criticism of both thinkers." Fromm, E. (1947) Man For Himself. An inquiry into the psychology of ethics. Greenwich, Conn.: Fawcett Premier. Fromm, E. (1962). Beyond the chains of illusion: my encounter with Marx and Freud. New York: Simon and Schuster.